These are naturally preserved and fully biodegradable, soft and delicate to the touch, and very long lasting. Petals are sold in clear acetate boxes measuring 17.5cm x 16cm x 6cm. Give a light scattering on 3 to 4 six foot diameter round tables. Fill 17 to 20 small cones. Fill 2 to 3 small bridesmaid’s baskets. Scattering on tables, around vases or candles or just by themselves. As a top table runner. They won’t wilt or die so you can decorate with them days before your wedding/event. 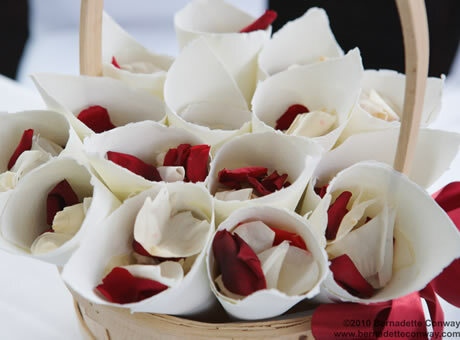 We recommend you order your petals 6 weeks before your wedding date. Store in a dry cool place out of direct sunlight. Preserved petals may, like fresh shed some of their colour, do not expose to water.